Copier Repair in Manhattan , Copier repair in Rockland County, Bergen County copier repair , Westchester County copier repair available From World Of Fax .Com . Fax Repair, Fax repair , and Copier Repair and printer repairs is our only Business. We can come on site and repair any of your problems quickly and efficiently . 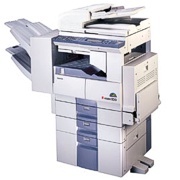 We Have over 20 Years experience in the repair of Fax Machines, Copier repairs and Printer Repairs. Copier machines are a delicate piece of equipment. You don't want just anyone working on your copier. Our Technicians have over 20 years experience . We have experienced detail knowledge of all makes and Models. We Have Drums, toners, developers for all models available. Let World Of Fax repair your copier on site at your office. Also we Can get your printer up and running the same day you need. Call today to have a courteous experienced technician stop over and get you up in running today. We service all these manufactures.